I have a pair of Ghostek soDrop 2 headphones. They're Bluetooth-compatible with a built-in microphone and the ability to make calls if connected to a phone. I paired them with my Linux computer, which has elementaryOS Loki. A little research (https://superuser.com/questions/724018/bad-sound-through-bluetooth-headphones) shows that this may have to do with the fact that, since the headphones can answer phone calls, it has a second audio profile that has a lower call quality for those phone calls. 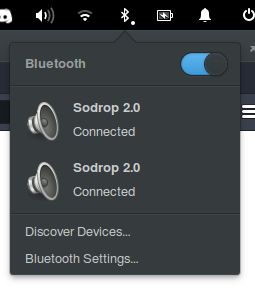 Looking at the list of connected devices in the Bluetooth menu seems to confirm this two-driver theory, since my headphones appear twice. 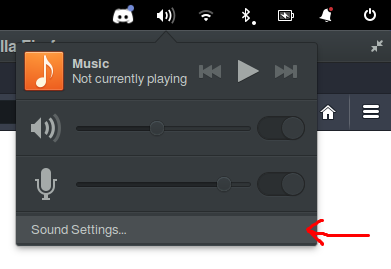 So now it's just a matter of disabling this second audio profile on my computer, which, according to the post in the link above, has to do with disabling a feature called Handsfree Telephony. The problem is that the Bluetooth settings has practically no way to do this, let alone change ANY settings for my Bluetooth headphones. 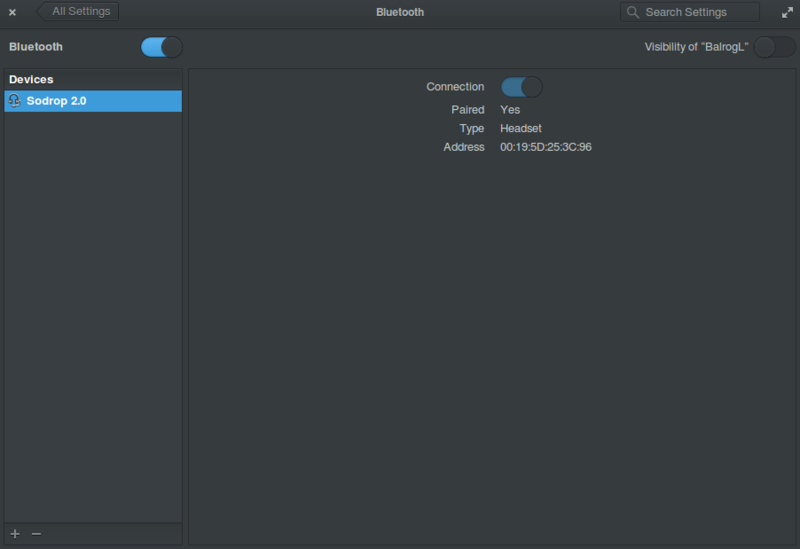 Attempting to disconnect only one of the two profiles from the Bluetooth dropdown menu (see first screenshot) doesn't work either, since disconnecting one disconnects both, no matter if you pick the first or second one in the list. Funnily enough, I found the answer while writing this post, so I might as well write my first-ever Q&A post on StackExchange. Not the answer you're looking for? Browse other questions tagged settings sound bluetooth audio or ask your own question. Why doesn't my microphone work using the headphone/mic combo port?